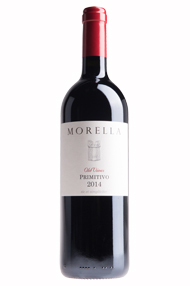 Morella is based in the Puglia wine region of Italy. While studying a Roseworthy College, Lisa Gilbee participated in an inspiring Super Tuscan tasting, and decided to investigate Italian wines at a closer level. 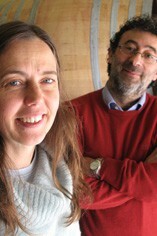 In 1992 she worked a memorable Tuscan vintage at Castello di Ama in Chianti Classico. Then she followed up with vintages in Soave, Emilia Romagna and finally in the south of Italy with Sicily and Puglia. It was in Puglia in 2000 that Lisa met Gaetano, a passionate wine appreciator, and son of a grape grower in Puglia. One thing led to another and the family was eventually completed with two small italo aussie kids and a winery. The project Morella began experimentally in 2001 with a small batch off an extremely old bush vine plot. The primary drive was to preserve a unique heritage, that of the irreplaceable Old Bush Vine Primitivo, found around Manduria. These gnarly old vines produce ripe, concentrated, small berries full of flavour under the warm Mediterranean sun. Eventually after extensive searching and evaluating the project became a larger reality when Lisa invested in five hectares of bush vine Primitivo, aged from 30 to 75 years and grown on "terre rossa", two kilometres from the sea. The production is around 18 hl per hectare, which creates an absolute concentration of primary material, of highest quality which is the first and most important factor for any great wine. In the vineyard we have changed some regional practices, added mulching under the vines, and no cultivation of the soil; to give the vines the best environment to express themselves. The traditional production on the bush vine is accompanied by the winemaking which is searching to conserve the original characteristics of the Primitivo, and above all to bring out the personality of the “autoctono” (native) variety. They use small open fermenters, hand plunging and a basket press to handle the grapes in the least aggressive manner, while allowing the maximum transfer of the grape characters to the wine. Both wines are aged in barrels and bottle aged before release. By “Old Vine”, we’re talking 75-year-old, free-standing vines – knotted, gnarled and twisted together. Thanks to the biodynamic approach in the vineyard, this richly flavoured wine has freshness and precision. The nose is beautifully concentrated with notes of cherry and cinnamon, leading on to a full-bodied, rich, powerful and unctuous palate with bramble fruit, tobacco and chocolate notes. Drink now to 2025.